Bits and Pieces...: Is This Week Over Yet?? This is one busy week! We've been doing lots of fun things, but it's been quite hectic. I can't wait until Saturday when I can kick back and start enjoying things a bit more! I'm really excited. 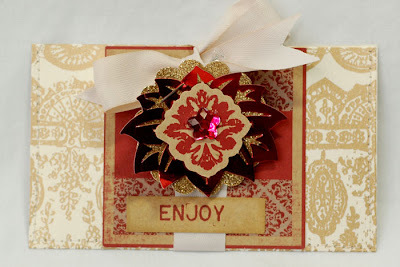 A couple of tags from my previous post are on the Moxie Fab World blog today. Stop over there for some inspiration and to win something 'udderly delightful'! Today's project shows another project that was so quick and easy to make. And I love the results. I took 5 by 6 inch sheets of Hambly paper and sewed little pockets. They are just the right size to tuch a gift card into. 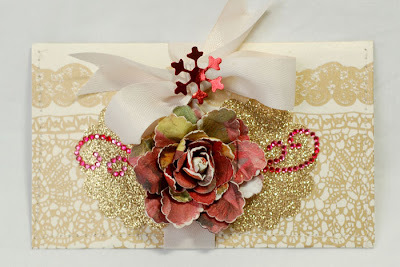 Then, I wrapped some tea dyed twill around them, and added some of my favorite embellishments...Prima flowers, Zva gems, Best Creations glitter cardstock, My Mind's Eye die cuts and Melissa Frances glittered chipboard. I can't wait to give these out! wowzers are these ever GORGEOUS!! Once again AMAZING work!! So elegant!! 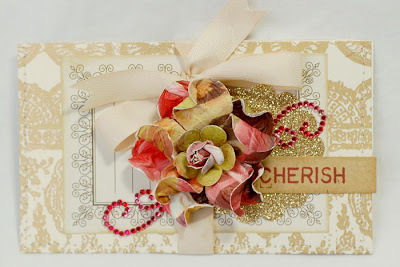 And I love those Prima flowers. AWWWW ohhhh LA LA.........these are STUNNING!!!! These are really adorable!! What a handy idea!! So much beauty in one little space - just incredible, Anabelle! I just love how these turned out Anabelle! Simply gorgeous! 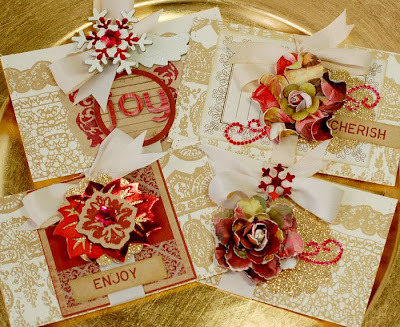 These cards are amazing girl - I am still drooling all over my keyboard!! Holy schmoli!!!! These are gorgeous!!!! wow those roses are really pretty! tutoral please? Gorgeous hunk of glittery holiday goodness! So pretty Annabelle! It's Snowing Cats and Dogs! 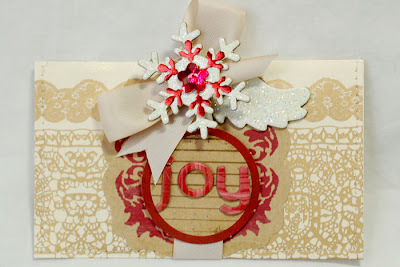 Stamped Cookies and a Zva Winner!! !